Paleo Granola. Oh, did we mention it's gluten free too?! There’s nothing more amazing than the smell of freshly cooked granola! 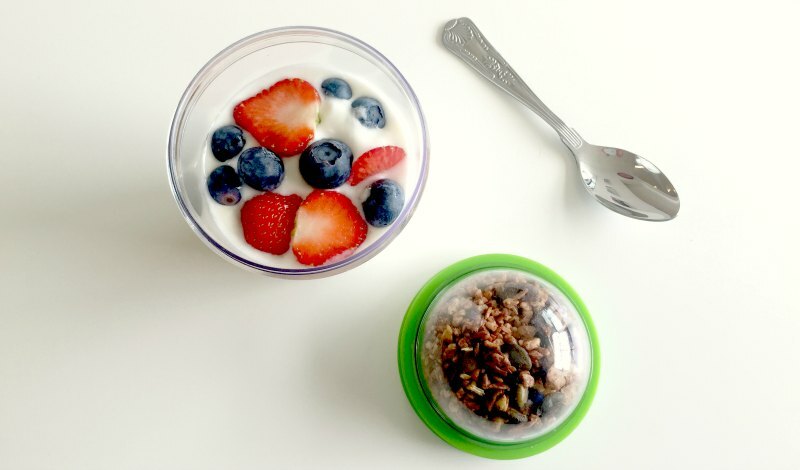 Here’s a great recipe for a grain-free Paleo granola that’s really easy to make. It’ll take you 20 minutes from start to finish, so well worth a go this evening. BTW: If you’ve got the non-stick silicone baking tray from our Bake-at-Home bars, then use it… it’s ideal for this! 5. Check after another 5 mins… careful, can burn quickly so keep an eye on it! I usually serve it with natural yogurt and berries, or sometimes just as a cereal with milk! Goji berries, Barberries and Freeze Dried Fruits (Strawberry, Raspberry, Pomegranate, Cherry) don’t roast well and will spoil the taste. Could just pick out the Goji Berries and Barberries easily enough if you like but the freeze dried fruits would be a lot harder to pick out! 2. Can leave out the honey or the coconut oil if you like. Doesn’t taste quite as good, but will still work. 3. Want to make more? No prob – just double the batch size and make sure to stir it really well while baking. 4. “But Chocolate isn’t Paleo!”… use ProMixes 2 or 9 instead.